Here is another REALLY simple but great tasting recipe. I found my Tomato Basil Dip recipe while I was pouring through my recipes getting ready for our “Appetizers to Die For” cooking class at The Lark Inn last weekend. Not only is it easy to prepare and tastes good . . . it is also different. It’s not the same old dip that everyone is used to having in some variation or another . . . it’s unique. 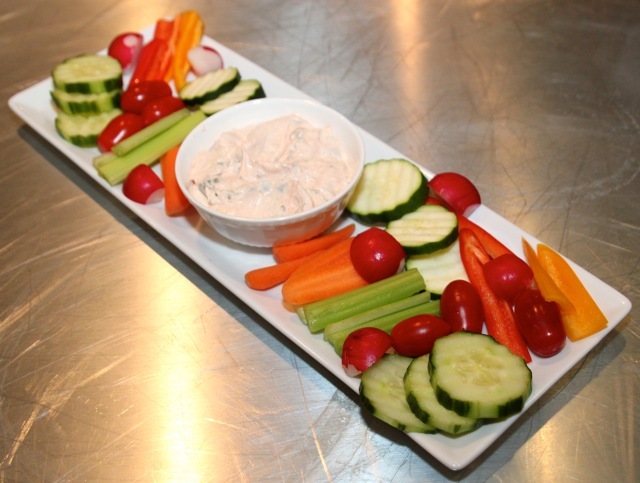 Bring your Tomato Basil Dip to a gathering and you’ll be the talk of the party! Stir together first 5 ingredients. Cover and chill at least 1 hour or up to 2 days. If you would like more information about my cooking classes or would like to customize your own cooking class party, visit our website! This entry was posted on February 28, 2012, 10:26 am and is filed under Cooking and Baking. You can follow any responses to this entry through RSS 2.0. You can leave a response, or trackback from your own site. I agree your own ingredients would be best – and in the summer I do use my own basil. I might have to think about making tomato paste. Alas I live in Kansas so my lemon tree did not make the cut when I moved from southern CA.